Former Wakefield PC Jackie Rushforth. Picture taken in 2011 by Scott Merrylees. A West Yorkshire Police officer has been sacked by the force a year after being arrested over her behaviour in a pub. Jacqueline Rushforth, who worked in Wakefield district, was dismissed without notice this week after a hearing where she was judged to have breached “the Standards of Professional Behaviour in relation to Discreditable Conduct”. 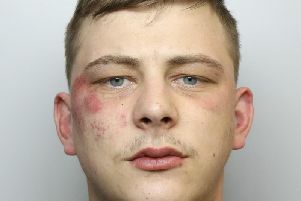 According to West Yorkshire Police, the officer was “arrested in relation to her conduct and behaviour whilst in a public house in April 2015”. She was dealt with for a public order offence at Huddersfield Magistrates’ Court on October 2, 2015, and was fined. The outcomes of the four public hearings held so far by West Yorkshire Police have been published online, though with only scant details of the case and without the officers concerned being named. A hearing in March saw a Pc face accusations relating to “honesty and integrity, discreditable conduct and duties and responsibilities”, which saw him dismissed without notice. The previous month, an officer was dismissed without notice for ‘discreditable conduct’ after earlier appearing in court and admitting driving while over the prescribed alcohol limit. And in January, a police constable was instantly dismissed over allegations that he “failed to disclose on his vetting form full details of his circumstances which he later continued to deny”.